Aerial application, or what was formerly known as crop dusting involves spraying crops from an agricultural aircraft. Ag aircraft can perform fungicide, insecticide, herbicide and aerial seeding applications. We serve a variety of areas including northeast NE, western IA, and South Dakota. 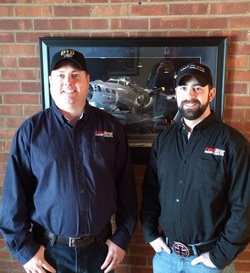 Our pilots are also licensed in Kansas as well and provide services there. Our pilots and aircraft are fully equipped with GPS precision guidance, flow control or variable rate application with AGSYNC software and applied maps. With a wide variety of aircraft ratings our pilots are able to contract pilot service to other companies or businesses which may be in need of a pilot for a day or week as needed. We also contract to other aerial applicators in NE, IA, SD, and Kansas. Our pilots have provided and continue to provide ferry service, pick up or deliver of aircraft to owners. We also can perform aerial photography, or aerial surveys as needed. 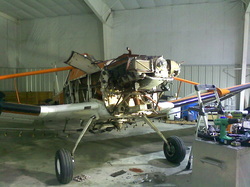 Our highly qualified mechanics provide a variety of aircraft maintenance to general aviation aircraft. These services include regular routine maintenance and inspections. Redline Aviation is classified as an Ag Chemical retailer, which provides chemicals to consumers and growers. Not only do we sell liquid chemicals, we provide cover crops which include rye seed, turnips, radishes, wheat and oats. 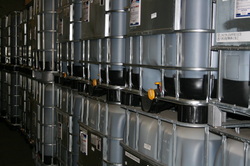 All of these chemicals liquid or dry can be applied using any of our Ag aircraft.